Millennials are no longer the babies of the office. As Generation Z comes of age and begins to enter the working world, Millennials are increasingly finding themselves in leadership roles. Growing up as a Millennial means these new leaders have lots to offer the companies they work for in terms of entrepreneurialism, digital knowhow and collaboration. However, there are also communication challenges specific to the Millennial leader. As a Millennial leader, you’re likely managing employees and dealing with clients from different generations. Each generation has its own preferred style of communication. This means, to get the best from your team and maximise your relationships with clients, you should try to adapt your communication style wherever possible. It may be that you’re most comfortable and efficient when sending out emails. However, when it comes to older generations, a face to face conversation or a phone call can go a long way. You need to step outside of your communicational comfort zone to be the best leader you can. In an age of text messages and tweets, when knowledge of letter writing and the rules around it are increasingly obsolete, it can sometimes be difficult to know how to go about writing an email. What exactly are the rules for business email writing? The question raises some debate. However, as a rough rule of thumb, you need to address your recipient correctly, avoid text speak and format your email so the information it contains can be easily digested. It may be worth brushing up on your email etiquette and make the most of your email communications. Millennials have grown up behind the safe barrier of digital communication. Any confrontation usually takes place over text or social media, whilst face to face disagreements are avoided at all costs. This isn’t healthy in the workplace. As a leader, passive aggression or simmering resentments will undermine the operations of your team and your wider business relationships. Even though it may pain you, you need to set up meetings, take people aside and deal with any disagreements head on. Some common Millennial speech habits can come across as immature to older generations. If you’re to get these generations on side with your leadership, it’s a good idea to recognise these speech patterns and work to minimise them in certain settings. Common quirks include unnecessarily inserting the word “like” into sentences and using a questioning intonation (when your voice goes up at the end of a sentence) even when you’re not asking a question. Text messages are still the reserve of personal communication and shouldn’t be used for business communication unless there are exceptional circumstances. If you communicate by text with your employees, you risk blurring the boundary between personal and professional. And, if you find it necessary to send a text message to a client or colleague, be sure to use full sentences, employ proper punctuation and avoid text speak. This will help you to appear professional and serious in your work. 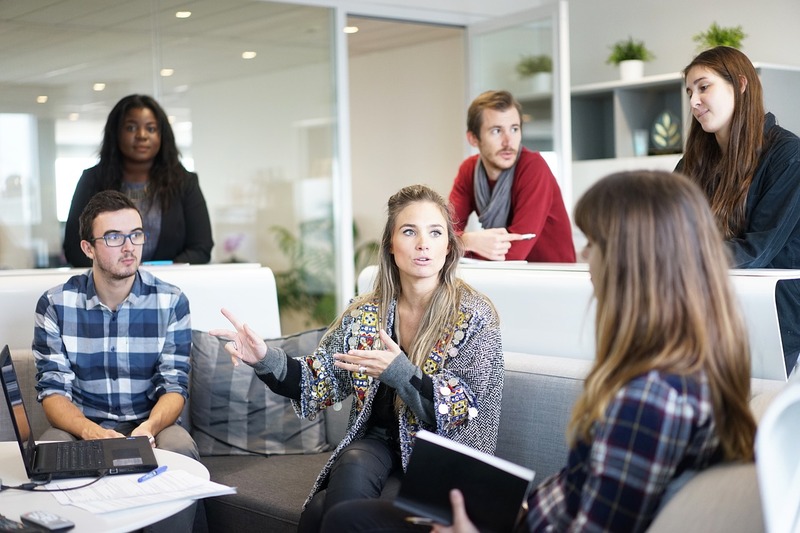 Millennial leaders face communication challenges in the workplace. The good news is, communication skills – just like all other skills – can be learnt, practised and perfected. Work on your communication style and you’ll experience better relationships across the board.